Recently at the Cherry Mobile Invasion Launch Event, we were able to get a hold of the Cherry Mobile Magnum HD, which is the predecessor to its current flagship dual-cored Magnum 2X. The device, sporting a 4.1” 800×480 capacitive screen and 1Ghz processor retails for only PHP 11,999 – a considerable bargain compared to other 1Ghz Android phones. The processor speed is still quite a good standard for droids today, which makes the Magnum HD quite an affordable option for consumers looking for a powerful Android with a large screen. We’ll be putting the phone through our usual review process in the weeks to come, so please stay tuned for the full review. But for now, check out our unboxing video after the jump! There you have it guys – our unboxing video of the Cherry Mobile Magnum HD. Watch out for the full review soon! 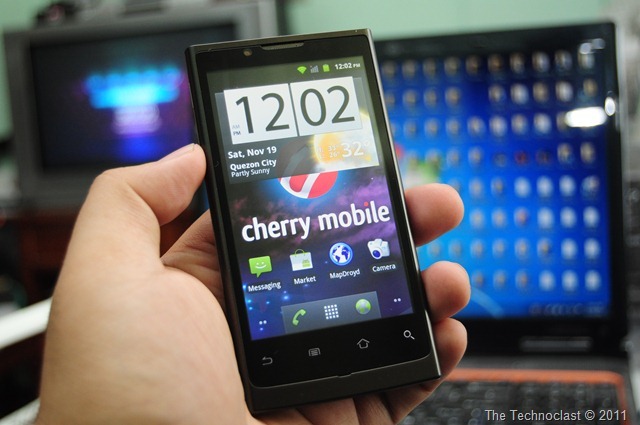 For more articles about the Cherry Mobile Magnum HD, check our archives here.